18335 N Whitefish Point Rd. 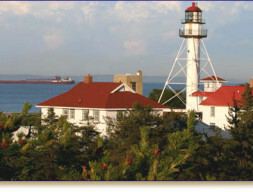 History, lore and more at this gripping museum at the site of Lake Superior’s first lighthouse. Whitefish Point. 888-492-3747, shipwreckmuseum.com.